On Friday was my friend Steffi's birthday. 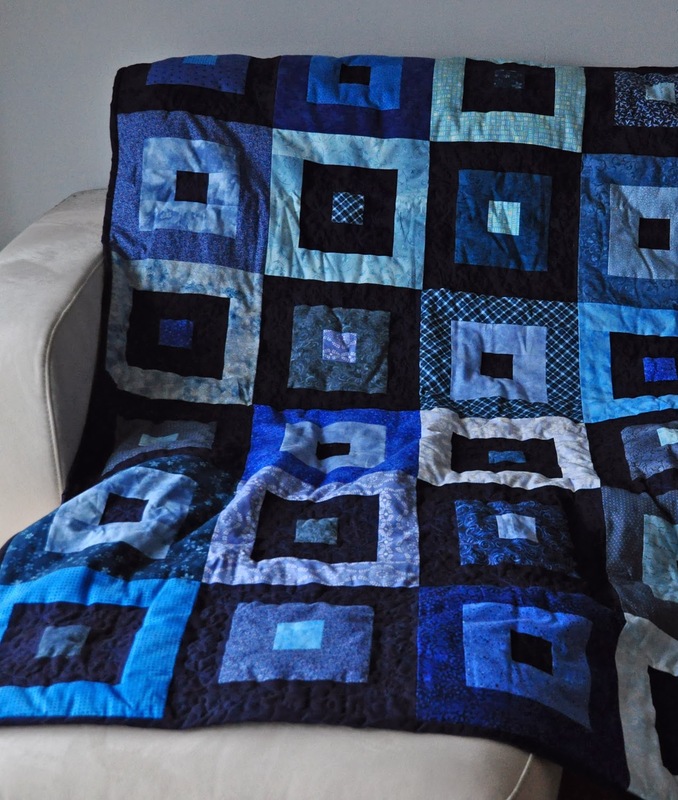 And as currently EVERYBODY gets something quilted by me, she got a smallish blanket made. Pattern is sort of kind of my own thing, though I might have seen something similar on the interweb. 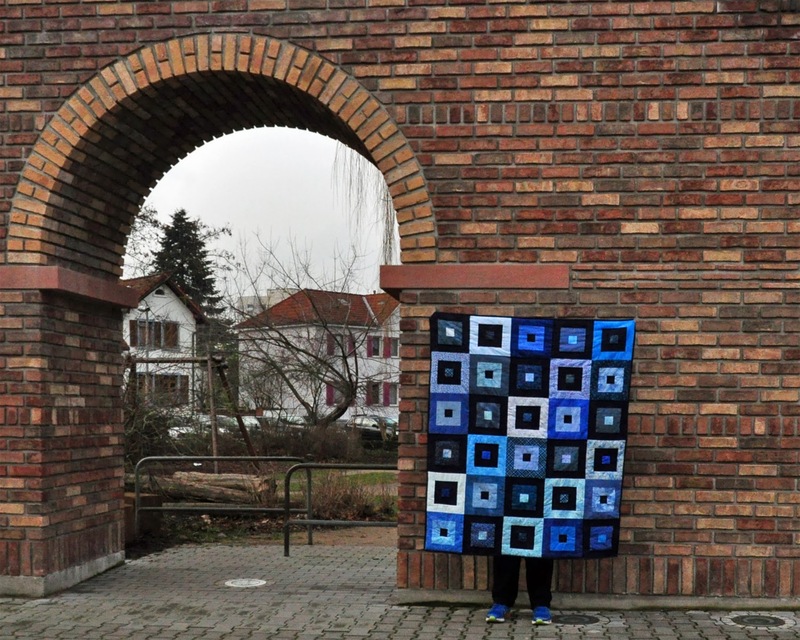 The final blanket is 125 x 150cm and the backside is fleece, which makes it extra snuggly. At our vacation in Canada, my friend saw the kit for those mits in the Beehive in Victoria. I knew she would like those, but she was hesitant. So I said, if you buy them, I knit them. Last time I saw her, she said, she would knit them herself, but had problems with the bobbles. I said, I take a look. But after I started, I just couldn't stop. 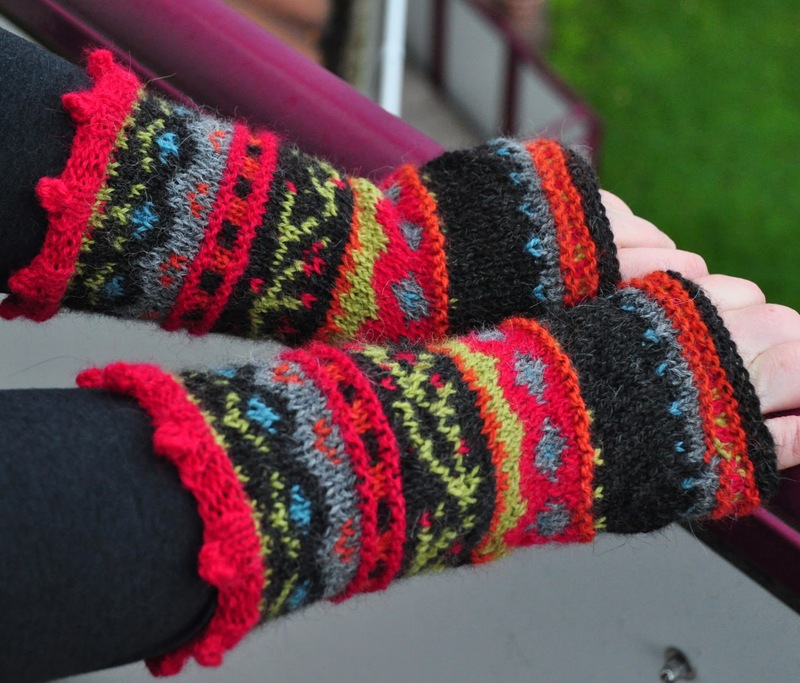 The patten is 'Composed Mitts' and was originally published in Interweave Knits, Fall 2007. The kit used six different colors of Frog Tree, Alpaca Sport, a very soft 100% alpaca yarn. It had been a pleasure to knit the mitts, though weaving in the gazillion ends in the end, was a bit less than fun. Biggest problem now .... I will have to hand them over sooner or later. My bedroom is underneath the roof, and when I wake up in the morning, I'm looking up through one of the roof windows into the sky. Though, when I woke up today, I saw something else. 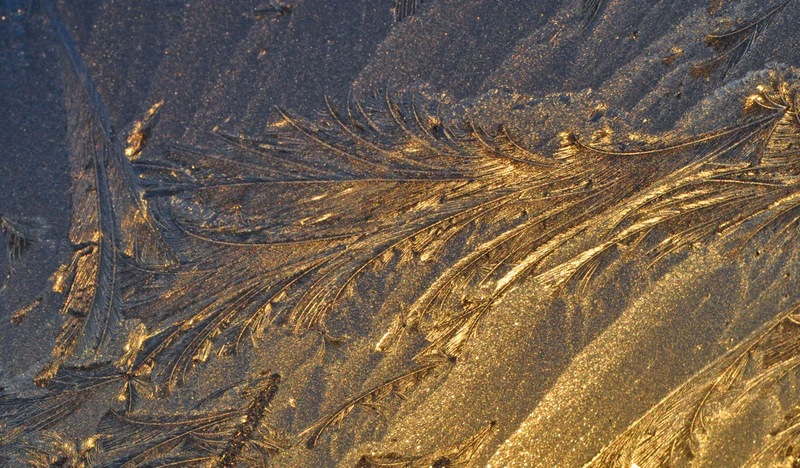 Iceflowers - or, rather, ice feathers. When the sun rose a few minutes later, she added the most amazing gold color to the whole thing. 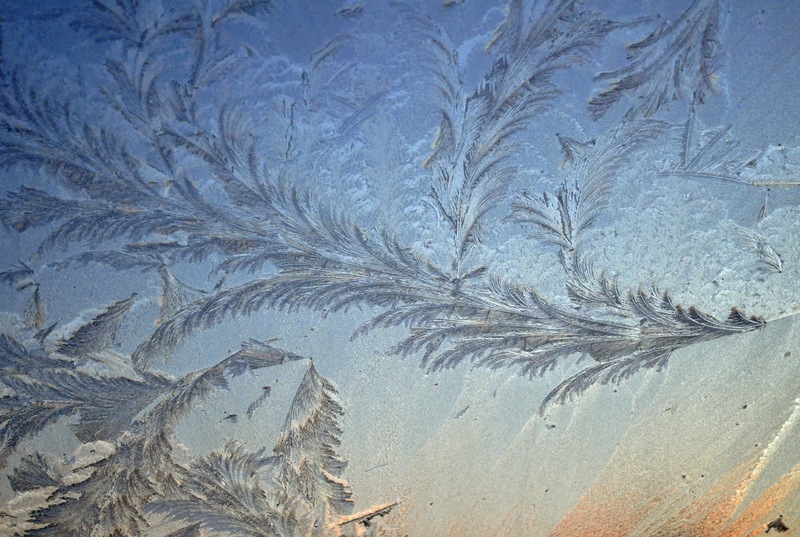 Sometimes, nature is just amazingly beautiful. 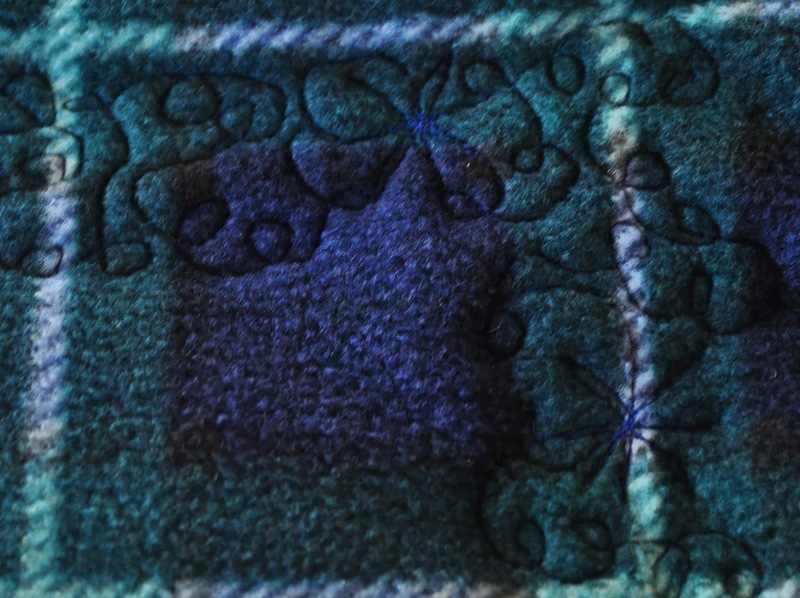 And a sneek peek for my next quilting project. I'm dabbling in free motion quilting once again, and was maybe two thirth through the quilting, when I ran out of thread. I thought 300m would be plenty. 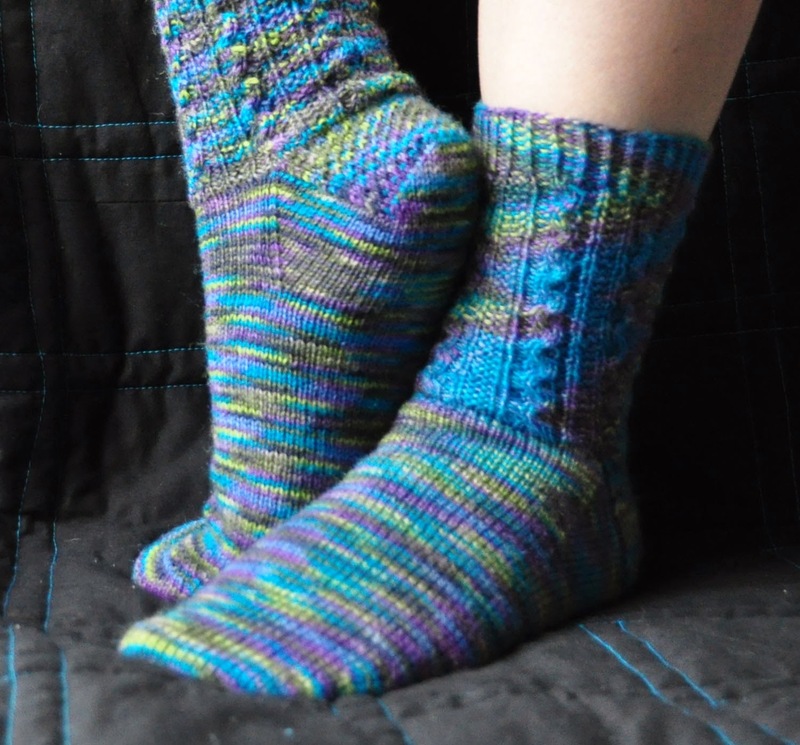 Within the last three weeks I finished three pairs of socks. First pair was the longest in the making (I started them in July). No idea why it took so long, only that other projects always seemed to get in the way. Second pair went to my mom for X-mas. Pattern: Chutes-N-Ladders (another freebee) in Hot Socks from Gruendle. One leg pooled pretty cool, the other refused to pool. Ah, well. 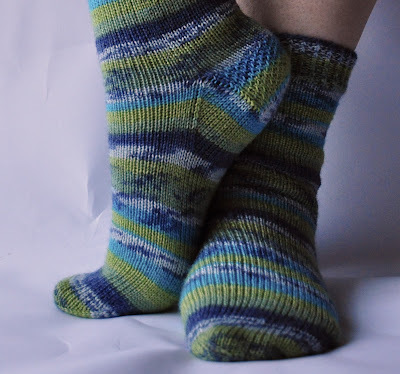 Finally, finished just yesterday, stinos ('STInk-NOrmale Socken') following my standard sock pattern in Superba Bambus by Rico. I'm happy I managed to match the two socks almost perfectly. To all a Happy New Year! 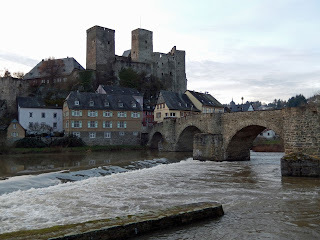 A couple of friends and I went to Runkel near Limburg and had lots of food, a good movie and fun. 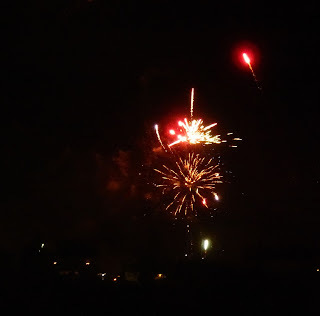 At midnight the fireworks started. To all health, happiness and may all your wishes come true.